Flush with the success of last month’s agreement on a new treaty on audiovisual performances, World Intellectual Property Organization members this week are propagating other possible legal instruments on aspects of copyright. Mainly under consideration this week are exceptions to copyright, along with broadcasters’ rights, and on the first day of the meeting, new proposals emerged on exceptions for educational and research institutions. The WIPO Standing Committee on Copyright and Related Rights (SCCR) is meeting from 16-25 July. The agenda is focussed on limitations and exceptions to copyright, and on a revival of a longstanding proposal on broadcasters’ rights. Proposals are being considered in three areas of limitations and exceptions: visually impaired and other print-disabled readers; educational and research institutions, and libraries and archives. WIPO Director General Francis Gurry opened the meeting with reference to that “happy occasion” of the Beijing Audiovisual Treaty, which took place in late June (IPW, WIPO, 29 June 2012). He said delegations there noted the importance of the treaty completion to multilateralism, and said that the spirit of engagement and cooperation should continue. The chair of the meeting is Zambian Ambassador Darlington Mwape, elected last session. A work plan for the week was agreed at a morning meeting today of the regional coordinators plus two. Limitations and exceptions for educational and research will be discussed until Wednesday (18 July) midday, followed by presentations on two proposals on the broadcasting issue on Wednesday afternoon. The meeting will return to education and research on Thursday (19 July) with presentations from experts who will arrive the day before. Then the print-disabled issue will fill out the remainder of Thursday, and Friday (20 July). Monday (23 July) will be broadcasting, Tuesday (24 July) morning exceptions and limitations for libraries and archives, Tuesday afternoon broadcasting, Wednesday (25 July) morning libraries and archives, and Wednesday afternoon adoption of conclusion and recommendations. An additional agenda item was adopted from Brazil, on assessing the contribution of the SCCR to the WIPO Development Agenda, to be presented to the October General Assembly. The agenda will be added on to the end of the meeting. On broadcasting, there is a new proposal by Japan. A proponent of limitations and exceptions is Africa. In the African Group opening statement, Egypt noted that the committee work on these issues is backed by substantive studies and research. It called for transparency in SCCR deliberations, as well as furtherance of the objective of a copyright system that is “balanced, development-oriented and capable of incentivizing innovation and creativity in developing countries.” To develop, Africa needs access to educational materials, it said. Today, for the first time, language began to be put to paper harkening the start of the creation of a text on limitations and exceptions for educational and research institutions. Africa said it expects to issue this week an updated version of its earlier proposal. Ecuador, Peru and Uruguay put forward a proposal on “clusters” of topics under the educational limitations and exceptions. Brazil followed with a non-exhaustive list of more “thematic clusters,” followed by Nigeria and likely Chile, and possibly others tomorrow. Chile was the originator of the limitations and exceptions issue several years ago. Nigeria told Intellectual Property Watch that it is looking for support among other African governments. Developing countries indicated that international instruments are needed in order to address gaps in national legislation, such as in the educational area. Countries that proposed clusters began working together after the meeting concluded to bring their proposals closer together. The proposals will be taken up tomorrow morning. 1. Obligations or proposals to update exceptions of a general nature. 2. Interpretative provisions on the scope of the flexibilities allowed by international law, including the three-step test, Articles 40 and 44 of the TRIPs Agreement and others. 5. Performances for educational purposes. 6. Availability on an interactive basis and communication to the general public for educational purposes. 7. Translations, transformations and adaptations. 8. Reproductions for educational purposes. 10. Special education for persons with disabilities. 11. Limitations and exceptions allowed only in the case of developing countries. 1. Access to works which have been withdrawn, or which are out of print. 3. Use for pedagogical and teaching purposes. 4. Reproduction of lectures and conferences. The International Federation of Reproduction Rights Organizations (IFRRO) in its plenary statement stressed the importance of licensing, as did IPA and others. IFRRO said collective management organisations licence large-scale copying for teaching and research purposes, and authors and publishers rely on income from secondary uses of their works. “Broadening of educational exceptions without remuneration to authors and publishers would act as a disincentive to and have a negative impact on the continued creation and commissioning of works for the educational market,” IFRRO said. The Motion Picture Association (MPA) in its plenary statement firmly highlighted copyright as “the basis of our members’ business.” The group supports a balanced system that features strong exclusive rights along with exceptions and limitations for education and other areas. MPA stressed the three-step test in copyright, which allows for limitations and exceptions, as found in several international treaties, including WIPO treaties. The European Union also raised the existing three-step test. Egypt challenged the assertion that the three-step test applies to all limitations and exceptions. Knowledge Ecology International took the view that the three-step test is not the best approach and does not always apply to limitations and exceptions. Gurry said that members are a year behind on a recommendation for a legal instrument on exceptions for the print-disabled, and should “ensure no further slippage.” He said the SCCR in 2010 recognised that some areas of limitations and exceptions were more mature than others, and set out a timetable under which the print-disabled recommendation would be made at the 2011 General Assembly, and other recommendations in 2012. A recommendation for a negotiation on a print-disabled instrument appears to be emerging this week. The International Publishers Association, which has been wary of any treaties that may erode their copyright-based business model, indicated today that it could accept an instrument – if worded appropriately. A secretive “intersessional” process [Editor’s note: to our knowledge, no public information was provided on the latest intersessional meetings] on the print-disabled issue was conducted in the lead-up to this SCCR in which key stakeholders met in Geneva in March and May and advanced the draft instrument. This text is being closely held, sources said, and is expected to surface on Thursday (19 July). The intersessional included a 1.5 hour meeting with the publishers and another one with the World Blind Union, which helped author the original proposal. The intersessional process may encounter opposition from the African Group, a source said. Africa has been seeking to move the treaty for print-disabled readers along with other limitations and exceptions, rather than first. An area of the draft text that was in need of further work was the definition of authorised entities, a source said. New Director of the WIPO Copyright Law Division for the Culture and Creative Industries Sector Michele Woods issued an invitation to members to inform WIPO if they have not signed the Beijing Treaty and are interested in doing so. 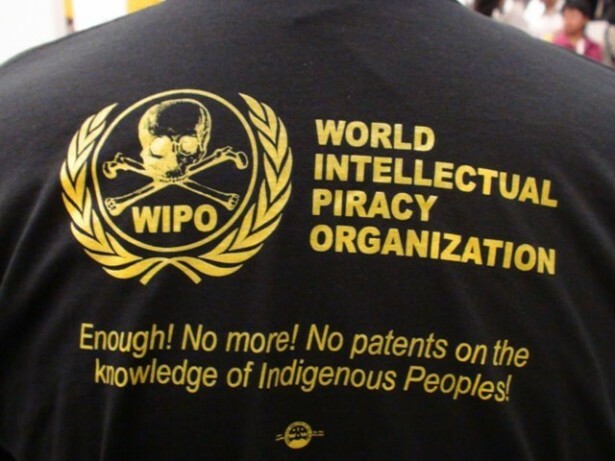 She said it would preferable to conduct signings at the early October annual WIPO General Assembly. Woods recently joined WIPO from the US Copyright Office, and took over the role from Richard Owens, another American, who returned to the US after many years at WIPO. Woods participated in the 2007 negotiations for a broadcasting treaty, as a lawyer for the US copyright industry. At the reception at the end of the first day, Gurry said, “publishing is going through a tumultuous time,” and that it requires the engagement of all stakeholders to address it. UK author Tony Bradman spoke to the gathering, saying artists do it for love and would probably do it even without compensation, but that the money is very important and is deserved. A new International Authors’ Forum was announced to lobby on these issues on behalf of authors, a “friendly rival” to the IPA, according to its leader.